Bossed around by Artie, Spartacus, Snapdragon, Feliks, Veikko & Delphia. Boris, Pasha, Jaska & Max playing at the rainbow bridge, forever loved. Happy Easter to you and your adorable hamily! 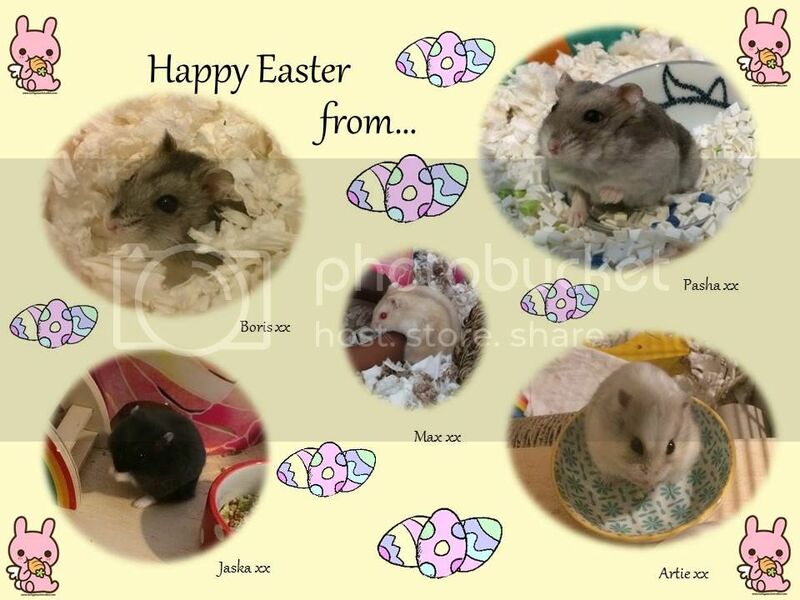 Hammy Easter to you & all your gorgeous hamily! What precious babies you have!